I have only read one other Sand work, and I preferred that one. This was her first novel, which I found too ambitious and bloated. 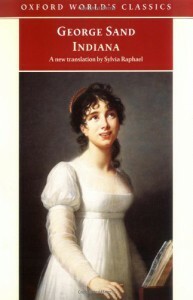 It reminded me a bit of Madame Bovary, but that was written afterward, so I wonder if Flaubert found influence in this. Either way, not a favorite.